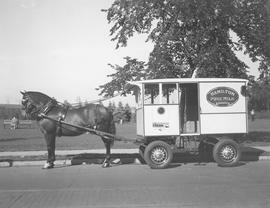 File consists of photographs of horses and carts from The Pure Milk Company, established in 1901 with John Milne, a manufacturer and politician, as president. 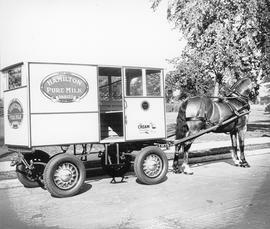 Prior to the advent of Pure Milk Company, various small operators handled the distribution of dairy products in Hamilton. 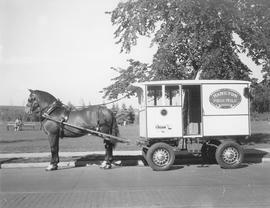 Milne and other businessmen played on public fears of contaminated milk to ensure support for Pure Milk, which had the capital to acquire the latest machinery and technology for sterile processing.